Battlemap 01: Mining Station Corridor shows an intersection of metal corridors for an old, run-down mining station. 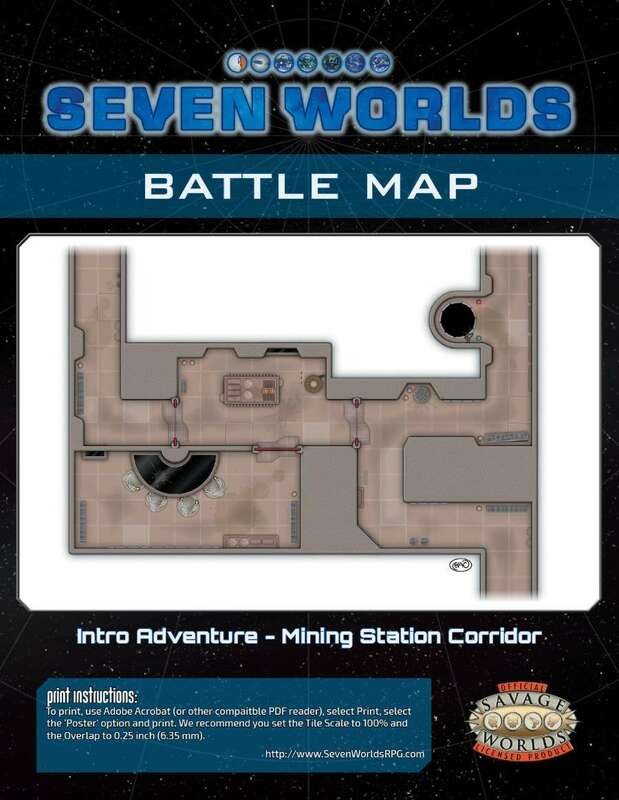 This battlemap is used in the Seven Worlds introductory adventure, A mysterious encounter, available in the Seven Worlds Setting Guide and the free Seven Worlds Test Drive. Are these maps just high-resolution versions of the maps in the adventure, or are they expanded in any way? Are you likely to be offering a "map pack" or subscription for these (like you have for the campaign)?